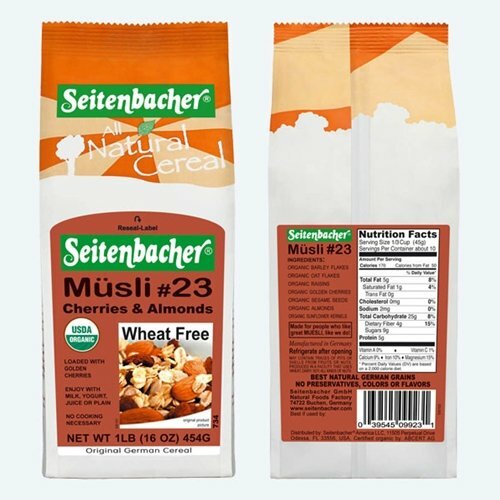 Seitenbacher Muesli #23 Almonds & Cranberries 16 Oz (12 Pack Case) | SleepyChef.com | everything breakfast! 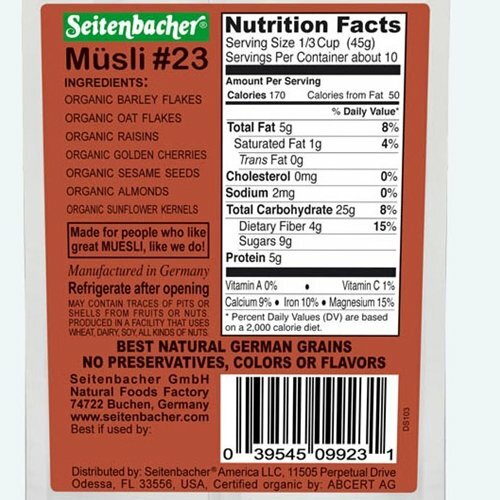 100% natural Muesli. 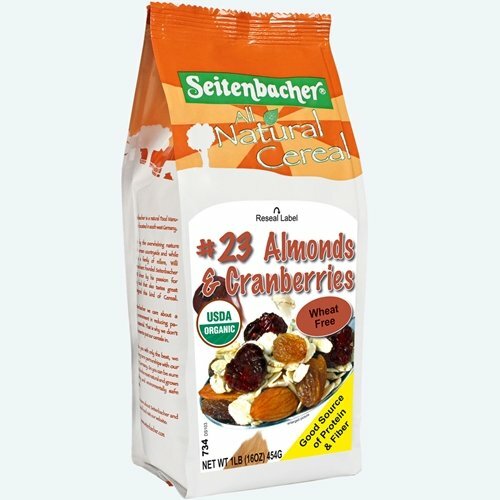 This tasty muesli is loaded with cranberries, raisins and sesame seeds. No cooking needed. Preferably eaten with milk, yogurt or juice.